Join us for a fun night of HamBingo! at Hamburger Mary's! 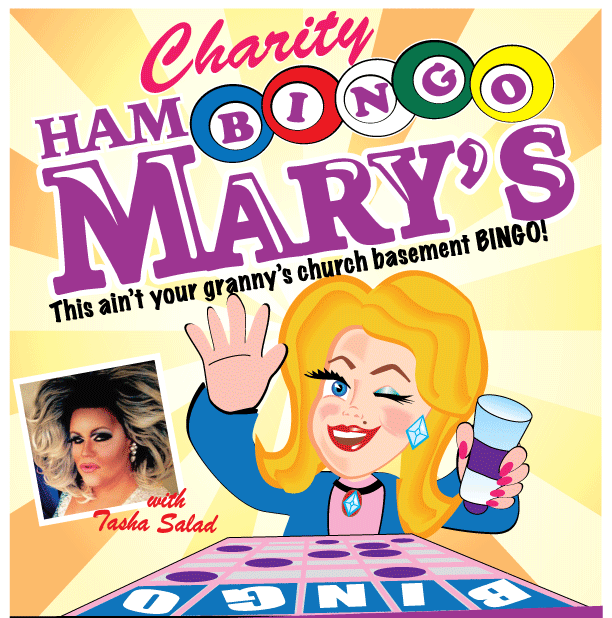 Hosted by Bingo-Diva Tasha Salad, this is NOT your typical “church basement bingo.” The show can get a little risqué, so enjoy the drink specials and leave the kids at home! It’s all about having fun while supporting OPWG! Guests are asked to make a $15 donation to play all night. For more chances to win, additional cards are available.